Jet Diffuser manufacturer supplier in Dubai UAE. 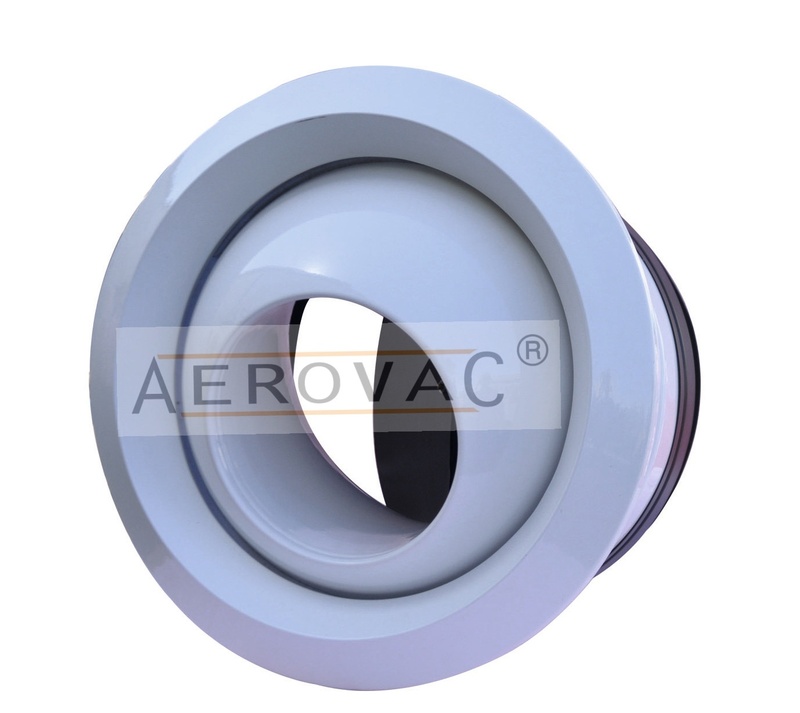 Jet nozzles are used in applications where the supply air from the diffuser has to travel a long distance to the required air-conditioned area. Such as a sports hall, airports, large rooms, mosques, churches, etc. Many factors could affect the direction and length of this air stream such as air velocity for the nozzle, air flow, temperature difference between the supply air and the room, and local convection effects or draughts within the room. Jet nozzles are designed to be manually adjusted in any direction for any angle in order to minimize these factors and direct the supply air to the desired location. Normally the jet nozzles adjusted upwards for cooling and downwards for heating. The well designed aerodynamically efficient shape of jet nozzles results in low noise characteristics, which allow the utilization of these jet nozzles in critical areas such as concert halls, theaters, museums etc. Independently adjustable AEROVAC Jet Diffusers allow spot heating or cooling from high ceilings. Jet may be deflected off axis by up to 30% to produce the wide variation in air jet angles. All types of Jet Diffusers are manufactured from high quality of aluminum profile as standard. Necks diameters are 150 mm to 400 mm, an increase of 50 mm are also available on client request. Finishes are in RAL Colors.